As its core offering, Ivili Wool Processing Facility is investing in state-of-the-art machinery, with specialists in sorting and classing of wool and cashmere to deliver high quality woven and nonwoven textiles. 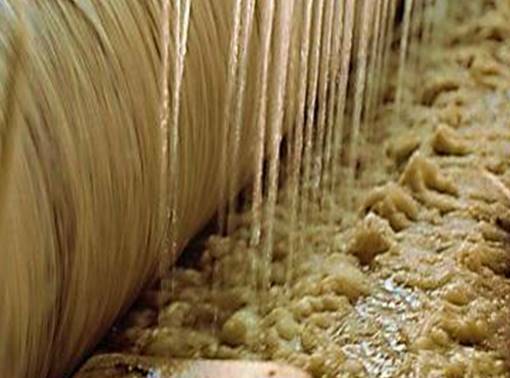 The production methods have been approved by the Department of Environment, with a plan to introduce an Effluent Treatment System for de-slugging, producing slurry and recycling. This is crucial for our strategy for environmental responsibility. The comparative and competitive advantage of the plant lies in being the only wool and cashmere scouring plant, ensuring viability in an industry where the majority of wool is exported greasy. Our added advantage is the revival of the Butterworth plant, which previously was smaller. Our Chief Engineer, Mr. Simon Leegwater, played a significant role when the original plant was operational. The added advantage is our ability to build on the Council for Scientific and Industrial Research’s (CSIR’s) research and incubation of the Middelburg wool chlorinating plant, upgrading it to a full wool scouring line capable of scouring a variety of wools, including Merino, Cashmere and Karakul.